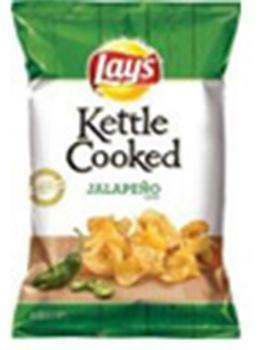 Frito-Lay is recalling select Jalapeño Flavored Lay’s Kettle Cooked potato chips and Jalapeño Flavored Miss Vickie’s Kettle Cooked potato chips. A “guaranteed fresh” date of JUL 4 or prior is printed on the front upper panel of the individual recalled product packages inside each multipack offering. Customers who purchased the recalled products should not consume them. For product reimbursement, visit www.jalapenochiprecall.com. Consumers with questions may contact Frito-Lay consumer relations at 866-272-9393 from 9 a.m. to 6 p.m. (EST). Representative product images can be found at fritolay.com. For product reimbursement, consumers can visit www.jalapenochiprecall.com.